You eat genetically-engineered tomatoes, wear clothes made from genetically-engineered cotton and may even take drugs produced by genetically-engineered goats. Scientists have harnessed the power of the genome to improve much of the world that surrounds human life. So isn’t it a logical next step for a scientist to try to improve human life itself? Despite the multitude of ethical questions and health consequences raised by Dr. He’s research, it is important to keep in mind that his CRISPR experiment is only a claim. He has not published any papers, and his work has not been peer-reviewed. Still, his allegations have sparked a debate about the future of genetic intervention. Gene editing for health reasons could easily lead to editing for enhancement purposes and creating designer babies, which many scientists and ethicists have disavowed. Will an era of designer babies, previously dismissed as science fiction, soon become our new reality? What ethical implications could arise? The central issue at stake here is autonomy. As experimental subjects, the babies had no say in whether their genes were permanently altered, which raises the question of whether their autonomy was violated. Autonomy is a central value in moral philosophy, where it is usually defined as self-rule or self-government. If a person is an autonomous actor, they must be able to recognize their desires in order to be free to act on them. Autonomy is at odds with paternalism, which involves people intervening in others’ choices, ostensibly for their own best interest. If parents opt for a designer baby, does that choice infringe on their child’s autonomy? We trust parents to be paternalistic towards their children in other respects, like the school they attend and the food they eat. Why is CRISPR technology any different? I would argue that a parent should only disregard their child’s right to autonomy when it is clear that such a violation is necessary for their child’s future well-being, like brushing their teeth, eating vegetables or doing homework. Children do not have the same amount of autonomy as adults, since they are less able to identify with their desires, so some degree of paternalism is warranted. Instead of providing genetic edits as insurance against the typical trials and tribulations of growing up, like being the shortest person in the grade or the worst singer in choir class, parents and children should embrace these problems. These types of cosmetic genetic improvements violate a child’s autonomy in regards to the way they mature, learn and grow. Genetic enhancement is not sufficient justification for interfering with a child’s genome. This argument does allow for gene editing for medical reasons, like protecting against genetic diseases. However, there is little evidence that Dr. He’s experiment addressed a health need. Neither one of the twins had HIV — the edits were just done to decrease their risk of contracting it, and the virus can enter the body without the CCR5 gene, so the babies were not entirely resistant. Since genetic intervention was not necessary in this case, the biological risks of CRISPR, like cancer and unintended mutations, are too great to justify its use. Why, then, are some scientists and parents driven towards gene-editing technology in the first place? Some parents are at risk of passing on life-threatening genetic diseases, like Tay-Sachs disease, cystic fibrosis and sickle cell anemia. Gene editing technology is perceived as a way for parents to control the genetic lottery and ensure a healthy future for their biological children. This idea is understandable, since most parents would do anything to give their child the healthiest possible start. However, as Josephine Johnston, a bioethicist at the Hastings Center, wrote, “The question must become how far to take the very laudable impulse to offer children the best possible chances in life.” Wanting your child to avoid fatal genetic diseases, which is the purported nature of Dr. He’s experiment, could lead to a slippery slope; parents might begin choosing embryos for their height, athleticism, math skills or singing abilities. In communities where European features are highly valued, selection for lighter skin or certain eye shapes might even lead to the genetic whitewashing of a population. This would be a blatant ethical violation comparable to eugenics — there is little justification for changing a person’s looks or behavior without their consent. In addition, why go about altering genes in the new, dramatic manner that Dr. He has proposed? 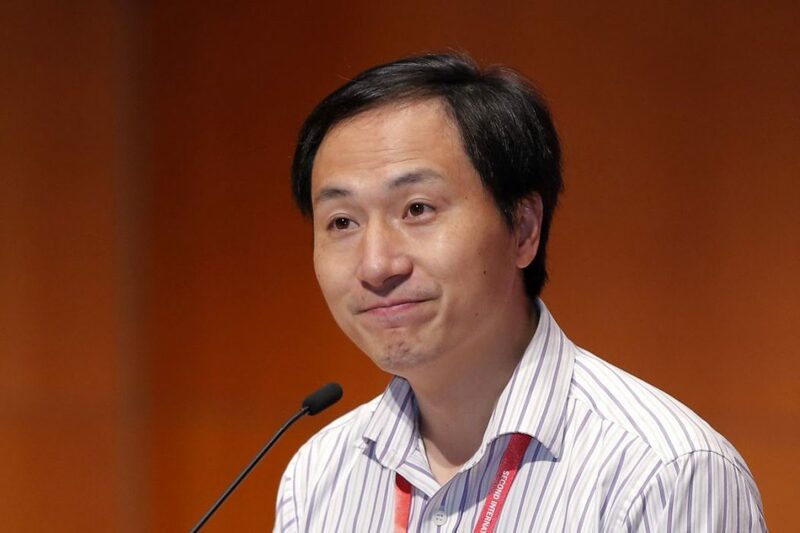 Dr. He’s CRISPR experiment, while more effective than other forms of human genome editing like zinc finger nucleases (ZFN) and traditional gene therapy, is also more invasive, since cells are edited in the embryonic stage. His genetic edits are therefore present in every cell, including the babies’ egg cells, meaning that alterations will be passed onto future generations. In contrast, ZFN and traditional gene therapy are more targeted and do not affect egg or sperm cells. Complications from CRISPR might have more far-reaching effects, both in terms of the patient’s physical body and for their offspring. The babies might have to suffer consequences — both known and unknown — of their genetic edits. Because CRISPR could have effects that reach far into the future and impact subsequent generations, a typical scenario of a parent choosing a medical procedure for their child is magnified into an event that might violate autonomy in the future. Gene alteration using CRISPR is essentially irreversible, so Dr. He’s experimental subjects — and their children — have no choice but to live with its effects. In contrast, a child raised under the paternalistic doctrine of always eating vegetables could swear off spinach and carrots once they reach adulthood. Dr. He’s patients will not be awarded the same opportunity to make their own choices. Instead of trying to alter the genetic cards already dealt to them, why not offer easier methods of adoption for parents with a high risk of passing on a disease? There are hundreds of thousands of children in foster care, and the adoption rate is decreasing. The current vetting process for adoptive parents is restrictive and time-intensive. In addition, any money being funneled to researching designer babies might be better spent on developing technologies, treatments and cures for people already diagnosed with genetic diseases. It is important to keep in mind that Dr. He’s experiment has not been replicated or even overseen by another scientist, so his findings lack footing. Additionally, Dr. He’s university and the Chinese government have stopped his research and are conducting an inquiry. A future filled with designer babies may be less likely than we fear.